Tortola's cheap restaurants guide will give you an idea of which eateries give you a great value, and those places that are just plain cheap (but not that good). That's where I come in, there's no use in coming here and not having some the best food possible, even if you are on a budget. With the money saved by sticking with some of the cheap restaurants recommendations you and your partner might be able to rent a nicer villa, or explore the seas for a day on your very own yacht! That may seem like a lot of savings, but actually it can just mean the difference between just a few dollars a meal spread out over the course of your trip. Many of the establishments on this cheap restaurants list are popular beach bars. The food will often consist of a smattering of seafood, pizza, pasta, and burgers. If your looking for something a little more upscale at least for one of your meals then check out the fine dining guide. The Jolly Roger- Not only doubles as a cheap hotel, but has some of the best bar food on the island (don't worry they have more than bar food). The atmosphere is ultra-casual as you'll be sitting in the open-air terrace. 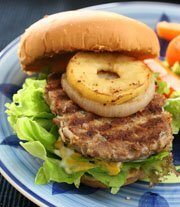 There is a wide variety of food including- breakfast, pizzas, burgers, tuna, rotis, and even conch fritters. Myett's Garden and Grill- Is located on Cane Garden Bay. Myett's is a place where you can eat with some sand between your toes, and not get in trouble for it. Wraps, burgers, salads, and rotis are served for lunch. Dinner is a bit of an upgrade with lobster, chicken, or even some BBQ. D'Best Cup- On the East End in the lushness of Trellis Bay you'll find D'Best Cup. This place isn't very well known with anyone that isn't a native, but it's an excellent restaurant. They are known for their gourment coffee selection, but the little crab cakes are what keeps me coming back. Mrs. Scatliffe's- Is owned by the local culinary impresario Mrs. Scatliffe. Reservations are a must, just because it's on the cheap restaurants list doesn't mean you can just walk up and get right in. Entrees vary daily but coconut chicken, curried goat, as well as conch fritters are all served family style. Roti Palace- In Road Town on Main Street you'll find some delicious roti (garlicy flatbread with curried meat and vegetables). Rotis can include beef, conch, lobster, whelk, and chicken. If you decide to get the chicken you probably need to ask for it boneless, otherwise you can chomp into it like I did and just about lose a tooth! 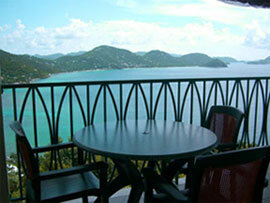 Sebastian's on the Beach- Located on Apple Bay Sebastians is also one of the best hotels in Tortola. The view here is to die for and the food is just as good. Breakfast, lunch, and dinner are all served here, make sure to ask for a table out on the terrace. Coco Plums- Tucked away in Apple Bay is a restaurant you might miss if you didn't know it was there. Coco Plums definetly has some of the best named menu items. I like their Voodoo Chicken, but many prefer the Rasta Pasta. You're on your own with that decision. Capriccio di Mare- Has highly recommended Italian fare, for some rock-bottom prices. The restaurant is located on Waterfront Drive in Road Town and is owned by the same people that own Brandywine Bay Restaurant, which happens to be one of the best places to eat on the island. The whole menu is excellent, my favorite happens to be the spaghetti arrabbiati. Pices- Is a super-casual outdoor restaurant/bar serving honey-stung chicken, curried shrimp, and a variety of breakfast foods. Pices is located out on Frenchman's Cay. Crandalls Pastry Plus- Always is hoppin' in the morning for breakfast. Popular items are their pates and their fried johnnycakes. Fish Fry- This is the kind of thing you can only get at VacationTortola.com. The Fish Fry shouldn't be on the cheap restaurants list at all, after all it's just a gathering of people. In Apple Bay you will find Zion Hill Road. Don't look for a sign, because there's not one there. Friday and Saturday nights Tortolan fishermen bring the days catch to this informal gathering. A fire is lit on the side of the road and people come from all over the island to have some of the freshest fish found anywhere. Mid-Town Restaurant- Road Town's best greasy spoon for sure. Breakfast and lunch are served, with lunch providing such favorites as oxtail soup. If you're not much for oxen then a sandwich and fries just might fit the bill. Road Town Bakery- Has a great assortment of freshly baked breads, pastries, cookies, and cakes. Lunch provides a chance to try a warm quiche or a fresh garden salad. Da Loose Mongoose- Is on the beach of Trellis Bay. The screened in porch is a gives a nice reprive from the countless open-air restaurants on the island. For lunch you can get sandwiches, fish and chips, or roti. Dinners include fresh fish, steaks, and even burritos. Josiah's Bay Grapetree Bar and Restaurant- Is well known by the surfing crowd. Here you can find something refreshing to cool you off as well as sandwiches and burgers. Dinner is served here by reservation only. Bananakeet Restaurant- Located in the Heritage Inn the Bananakeet doesn't disappoint. They have a Sunday Brunch that is to die for, you should visit this place no matter what. Just so you know the brunch is $18 but you get an enormous amount of food for that price. I probably shouldn't of put the Bananakeet on the cheap restaurants list but it does return great value for the price. I'm always trying new things each time a take a trip to Tortola. Just so you know this cheap restaurants list will be growing over time, so make sure you check back before you set out on vacation.